Players that have been participating in the patch 5.3 PTR testing may have noticed that there's not exactly a lot of new content to test out just yet. That's about to change with the next patch update -- according to CM Vaneras over on the EU forums, all new and heroic scenarios should be available for testing with the next PTR update. This includes all new 5.3 lore scenarios -- and if you're wondering whether you'll be able to test both, you can put your mind at ease. Both factions will be able to participate in all new scenarios, and the disguise mechanic introduced when Dagger in the Dark and A Little Patience were released with patch 5.2 will be implemented. As for heroic scenarios, players will be able to participate in that content as well -- there's a new section in the scenario queuing system that will allow players to queue for heroic rather than regular scenario content. EU players can leave feedback on the official forum thread, and presumably US players will have their own thread for doing so as well. If you've been itching to find out more about upcoming 5.3 content, this is your chance to take a peek and give your feedback on the content. If you're interesting in participating, you can download the PTR client via your account management page on Battle.net, as well as copy an existing character over to the PTR. Blizzard seems to be looking specifically for people's reactions to the relative challenge of the scenarios, as well as feedback regarding the new bonus objective system. Keep your eyes peeled, we'll have more information on all of the new scenarios once they are available and open for play. Patch 5.3 PTR: Heroic and new scenarios available for testing soon originally appeared on WoW Insider on Mon, 08 Apr 2013 20:00:00 EST. Please see our terms for use of feeds. Slightly Impressive returns with TV in Azeroth 2, bringing with him a handful of amusing parodies and pointed jabs at pop culture. Some of the jokes went a little over my head, but others knocked it out of the park. Maybe that's the best thing about this kind of format: you get to do a huge variety of things. In the Arms of the Naaru, you guys. Seriously, if for no other reason, you must watch this video to get a listen to In the Arms of the Naaru. I was not adequately prepared and I instantly spit my coffee out across the table. That's an inspired parody, right there. WoW Moviewatch: TV in Azeroth 2 originally appeared on WoW Insider on Mon, 08 Apr 2013 19:00:00 EST. Please see our terms for use of feeds. Blizzard has bought the technology and other assets related to the IGN Pro League. The future of IPL was up in the air due to IGN layoffs back in February with 1UP, UGO, and Gamespy closing shop. Now we know what the fate of IPL will be. Some members of the team will be moving over to San Francisco to work on "high-quality web and mobile content in support of Blizzard games" but it appears that the actual operations of IPL will be coming to a close. Other members will be joining Blizzard's existing eSports team and possibly assisting them with the recently announced Starcraft 2 World Championship Series. Personally, I've enjoyed watching the League of Legends and Starcraft 2 tournaments that IPL held. I'm quite sad to see them go as I was impressed by the level of quality in their productions. Best of luck to everyone involved! Blizzard purchases IGN Pro League originally appeared on WoW Insider on Mon, 08 Apr 2013 18:00:00 EST. Please see our terms for use of feeds. Hit rating and expertise are the life blood of the max level PvE death knight. DPS death knights need exactly 7.5% hit rating and 7.5% expertise to avoid missing raid bosses or having their attacks dodged outright. Even tanks, while a miss is less of a big deal for them, may find hit and expertise helps them keep threat and prevent key debuffs from falling off the mob. They're so powerful that if you aren't near those caps, your DPS will suffer horribly, and in most cases, the one thing you do to increase raid DPS is to hit those caps if you aren't at them already. Now, this is what we have reforging and regemming for though, right? Sometimes it's just not that simple. Today, we'll take a look at the problems with hit gear and suggest some solutions. The big problem is that once hit and expertise do their job of letting you hit the mob, they are almost literally useless. Dual wielders get a little bit of extra help for their normal weapon hits, but 2 handed wielders get literally nothing else out of them at all. They're dead stats. Arguably, it's bad even if you are at the 7.5% caps, because that means you have a bit of hit and expertise. and expertise rating that's not needed for daily questing or dungeon runs, or even for most raid trash. 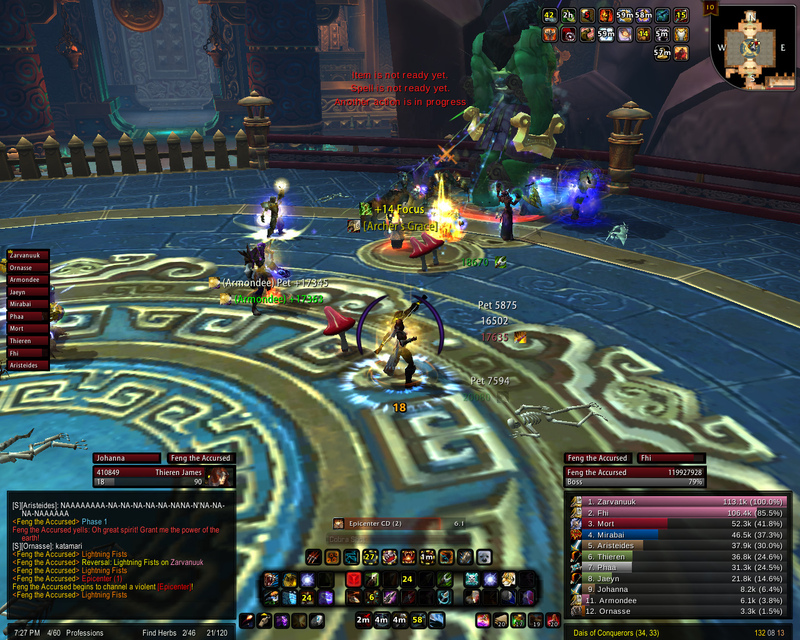 Lichborne: The trouble with hit rating and expertise originally appeared on WoW Insider on Mon, 08 Apr 2013 17:00:00 EST. Please see our terms for use of feeds. Manaflask, ardent follower of the World First race, has reported that the final bonus boss of this tier has been defeated by a Chinese guild named 七 煌. So why the question mark? Manaflask has looked deeper into the kill, and it appears that there's something fishy afoot. Apparently 七 煌 switched to 10 man after downing Lei Shen in 25 and that made all of Ra-Den's abilities work as it if were 10 man (except they had 25 people there fighting him) [...] The guild supposedly reported the issue to Blizzard so there isn't any actual exploiting going on, just a bug due to the different way in which 10s and 25s are handled in Asia (different lockout etc). What's more, and this is unconfirmed so should be treated as such, theories have surfaced that there is a bug with the boss. The guild's raid leader is quoted as having said that they also "met something usual in the encounter". We assume they mean unusual, and Manaflask also has theories that, by preventing Ra-Den from reaching his adds, he is prevented from gaining any of his abilities. They also mentioned that Ra-Den turns friendly at 5.5%, which seems likely to be an intentional feature, given what we've heard already in sound files and the like. The guild have, as mentioned above, reported this to Blizzard, and are convinced that, given all the aforementioned, their kill shouldn't be considered valid. Ion Hazzikostas previously asserted that if he was badly bugged the limited attempts would be lifted, but that seems unlikely at this late stage. We will wait and see, but for now, he's down. "World First" Ra-den? originally appeared on WoW Insider on Mon, 08 Apr 2013 16:00:00 EST. Please see our terms for use of feeds. If you're a fan of mogging whose bags are already full to bursting, then MMO-Champion brings good news: in patch 5.3, you'll be able to transmogrify using items that are currently in the bank or void storage. The ability is actually already in the game for void storage, but there's no UI elements that let you access it. However, anyone wanting to get ahead of the curve can download the VoidTransmog addon, and transmogrify away without the bother of actually pulling your items out of storage. While it's a small change, we're sure transmog fans will appreciate the convenience of this tweak. Of course, patch 5.3 is still far on the horizon and it's likely that eager transmogrifiers will be waiting on this for quite a while. Patch 5.3: Transmog to be available from bank and void storage originally appeared on WoW Insider on Mon, 08 Apr 2013 15:00:00 EST. Please see our terms for use of feeds. I had an interesting conversation on Twitter with Bashiok late last night on one of the trickier questions Blizzard face in their current content, and indeed, in queue-able content since they introduced the dungeon finder, and latterly the raid finder. @jagoex The off-spec loot option in 5.3 might help a bit. Some future ideas may help a bit. How do we get more people to tank/heal? The key is, of course, the final sentence. How does Blizzard get more people to tank, and indeed, to heal? It seems to us here at WoW Insider that a key part to answering that question is to establish what's stopping people tanking and healing in the first place. Hence the question in the header, why don't you tank or heal? Why does it matter? Well, for those who don't tank or heal, there are currently rather long queues, in the Raid Finder as well as the Dungeon Finder. If whatever's stopping people can be dealt with, and more players take on these roles, then queue times will drop for everyone. WoW Insider has some theories about potential things that are stopping people, but do tell us what you think. Continue reading Why don't you tank or heal? Why don't you tank or heal? originally appeared on WoW Insider on Mon, 08 Apr 2013 14:00:00 EST. Please see our terms for use of feeds. Every Monday evening, WoW Insider brings you a long list of WoW podcasts that were published the week and weekend before. If you don't see your favorite World of Warcraft podcast listed, just let us know in the comments. Be sure to leave a link to it, and we'll pick it up next week. All podcasts and content belong to their owners. WoW Insider is not responsible for what you hear, and some of the content may not be safe for work. Weekly Podcast Roundup: April 1-7, 2013 originally appeared on WoW Insider on Mon, 08 Apr 2013 13:00:00 EST. Please see our terms for use of feeds. I'll make this short and to the point, because I'm honestly at the end of my rope with just how disrespectful, inconsiderate, and shady some folks who play this game are. Without going into too much detail, we removed some folks from our guild a few weeks ago; they tried to poach our members and couldn't, so they ended up stealing our charter instead. I found out because I noticed them advertising in trade chat, so I scoped their website out. Lo and behold, there were MY words I worked so dutifully on, for many hours, over the course of a few weeks, with my co-GM and other officers. This charter was the result of almost a year's worth of questions, concerns, comments, and experiences we all have shared since forming our guild, and to see another guild just blatantly rip it off was infuriating. Officers' Quarters: Charter pirates originally appeared on WoW Insider on Mon, 08 Apr 2013 12:00:00 EST. Please see our terms for use of feeds. Osha calling Bran "little lord" is suddenly really weird, now that puberty has hit Bran like a freight train. It's a cute pet name turned insult. The kid grew a foot, exchanged his voice with Barry White, and changed the entire topography of his face in less than a year. Pretty impressive. I'm talking about Game of Thrones, for the confused. Why do people say that dailies are repetitive and boring, but dungeons are not? If you are chain running dungeons, you are running the same 5-mans over and over. 5-mans that you've done many times. If you are leveling your 3rd alt, dungeons you've done MANY times. Why is doing the same dailies boring, but doing the same dungeons not? The Queue: Stark puberty originally appeared on WoW Insider on Mon, 08 Apr 2013 11:00:00 EST. Please see our terms for use of feeds. It's pretty amazing what lengths people in this game will go to for minor aesthetic changes to their character. Running endless dungeons for transmog gear, spending hundred of thousands of gold on jewelcrafting mounts, and of course leveling and training battle pets so they can have the rarest companion possible. Now with the introduction of the green fire quests in Patch 5.2, warlocks can undergo an entire questline to change the color of their spells. Submitter Pinkbunnie of Azeroth Alliance Raiders on Ghostlands (EU-A) has been trying to get her green fire since March 24 and finally defeated Kanrethad a few days ago. Congratulations! Around Azeroth: Going green originally appeared on WoW Insider on Mon, 08 Apr 2013 10:00:00 EST. Please see our terms for use of feeds. Drama Mamas Lisa Poisso and Robin Torres are experienced gamers and real-life mamas -- and just as we don't want our precious babies to be the ones kicking and wailing on the floor of the checkout lane next to the candy, neither do we want you to become known as That Guy on your realm. Harassment is as harassment does. To put it simply, I am incredibly overwhelmed by a mix of issues with my guild both online and off. I have been with the same guild since about 2009(ish) and was one of the founding members. I assisted with raid leading, recruitment, and many other facets of keeping things running. Myself, our guild leader - who I will call J, and a fellow officer, W were all very close friends for several years. Until I made a fatal mistake. During a guild event myself and W got... a little too close. I know it was a mistake and it has been having a negative impact on my life for several years now. Whenever I would date anyone else, W would become incredibly jealous and angry, to the point of threatening me, and making incredibly lewd remarks to me via e-mail or messenger services. J, on the other hand did not want to become involved (reasonably so, I think) and would not address the issue. 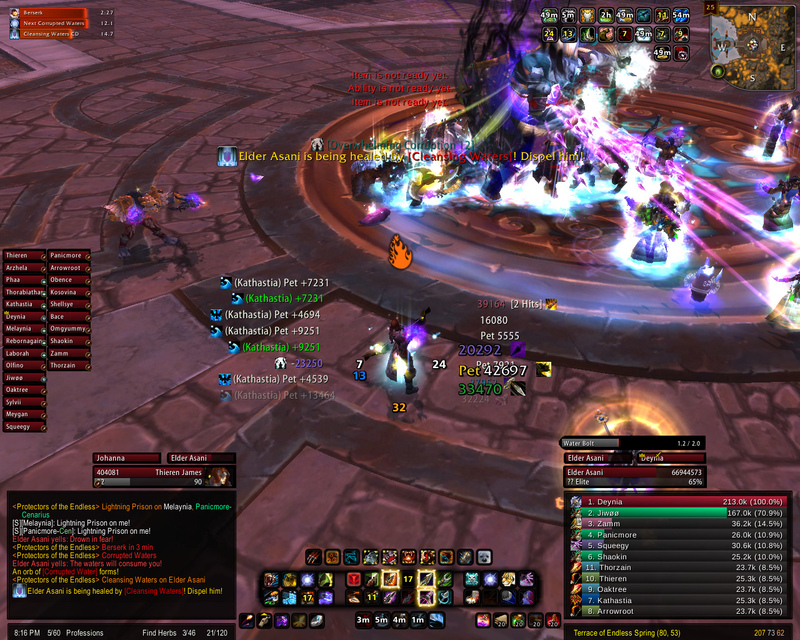 Drama Mamas: Of flings and friendships originally appeared on WoW Insider on Mon, 08 Apr 2013 09:00:00 EST. Please see our terms for use of feeds. Oh, sure. WoW boasts great gameplay and features some magnificent art. The music is outstanding and the stories are pretty good. It's an awesome game. But these aren't the only to love about World of Warcraft. For one thing, the community is pretty awesome. While the official forums do occasionally degenerate into a bit of trolling and name-calling, they're also some of the most polite, friendly, and welcoming gaming boards on the internet. The game is relatively responsible about social issues. While things like murder, war, and torture obviously take place, you can't escape this lingering notion that there's social commentary happening underneath the story. Chain mail bikinis are largely a thing of the past. And even if the occasional midriff shows up, at least we're not sporting slave outfits. The game certainly doesn't make light of mental health issues or sexual assault. Blizzard threw open the doors to the developers, sharing Ghostcrawler and others' insights on how the game is built, balanced, and developed. The community managers engage in meaningful, high-level topics that lend insight to their community strategies. Not only is it good for the game, there's information to be learned. So while I obviously love playing the game, I love being involved with a game whose meta-community is better than average. It's a great place to be, and I thank you all for it. But, what about you? What do you love about the game, that's not strictly the game play itself? Breakfast Topic: What are the meta-reasons you love WoW? originally appeared on WoW Insider on Mon, 08 Apr 2013 08:00:00 EST. Please see our terms for use of feeds. "Why?" a voice asked. Vol'jin felt the voice in his bones; it rumbled inside him. "Why you lead our people to subjugation? Surely it be better to fight alone an' proud, to die alone an' proud." "No," Vol'jin said, thinking it through. "De Darkspears should always be free an' proud. But we got to be alive to be free. If we dead, we lost. Better to bide our time, to endure. We be an ancient race, mon, and we endure." Vol'jin may have been abruptly thrown into the role of leader for the Darkspear tribe, but that doesn't mean he wasn't prepared for it. The leader of the Darkspear is far more clever than one would think. And although he readily agreed to think over what Thrall had said regarding Garrosh Hellscream, it seems in Mists of Pandaria that the conclusion he's come to is that while Thrall's intentions may have been good, the placement of Garrosh as Warchief of the Horde was an error ... one that needs to be corrected. All around Azeroth, the Horde is crumbling to pieces, and the blame lies on the actions of Garrosh Hellscream. Yet how can Vol'jin justify turning his back on the Horde, leading the Darkspear into the unknown? How can Vol'jin justify his actions in Cataclysm, Mists, and the upcoming release of patch 5.3? Please note: Today's Know Your Lore contains some brief spoilers for patch 5.3 content. If you're trying to avoid spoilers, you may want to turn away. 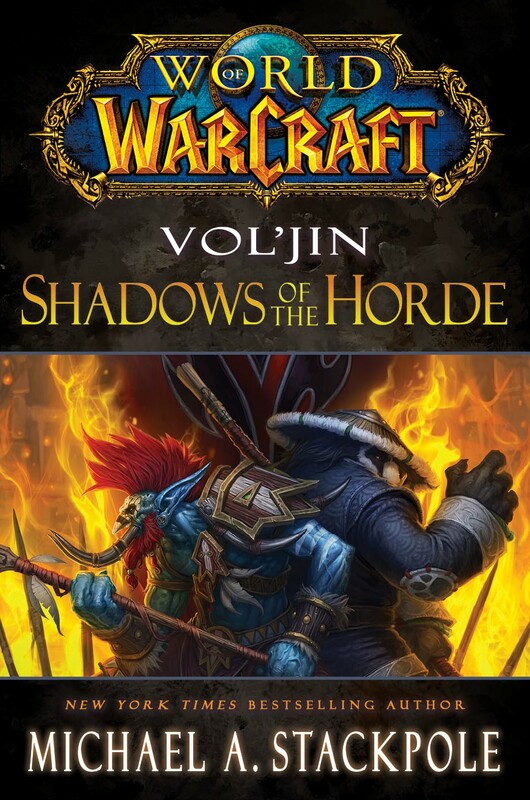 Know Your Lore: Vol'jin and conflicted loyalties originally appeared on WoW Insider on Sun, 07 Apr 2013 20:00:00 EST. Please see our terms for use of feeds.